Bladkon (Pty) Ltd, previously known as Slabcon, was established in 1982. 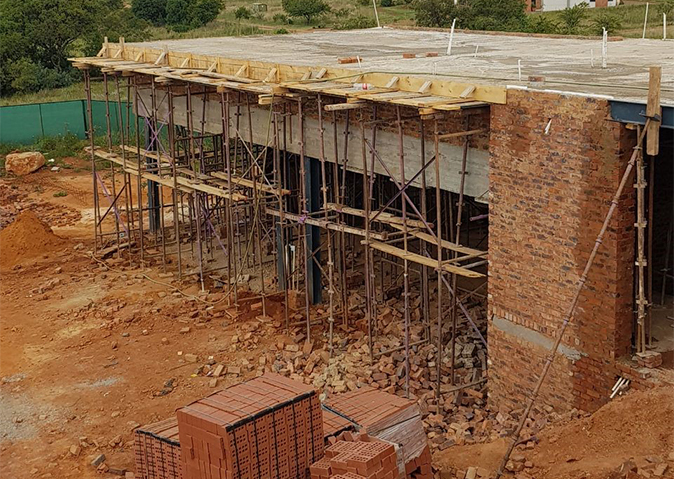 For the past 4 decades we have been doing concrete specific construction work across Gauteng. Our mission is to design and construct concrete structures, which comply with serviceability and structural specifications to clients in the building industry. We have an in house team of structural engineers that enables us to do turnkey projects for the concrete structures of any house or building. Our target market is the residential construction industry where we specialize in the installation of suspended floor slabs and roof slabs. We supply engineer’s certificates for the sections of the structures that are designed and constructed by our staff. We have in house reinforcement cutting and bending facilities to ensure fast and effective construction. Our associate company, Eastern Readymix (Pty) Ltd, offers a wide range of readymix concrete products and supplies 90% of our concrete. All concrete is placed by ERM Pumping Services (Pty) Ltd, which is also an associate company of Bladkon (Pty) Ltd.